Motorola’s Moto Maker customization service is expanding. Starting next month, buyers of the company’s Moto 360 smartwatch will reportedly be able to deck out their new wearable with a variety of different options to make their wearable uniquely their own (or tacky, depending on who you ask). According to a report from Wired, prospective Moto 360 owners will be able to choose from black, silver and champagne gold color schemes for the smartwatch’s casing. Bands – both leather and metal – will be offered in two different sizes in addition to a new single-link metal band. 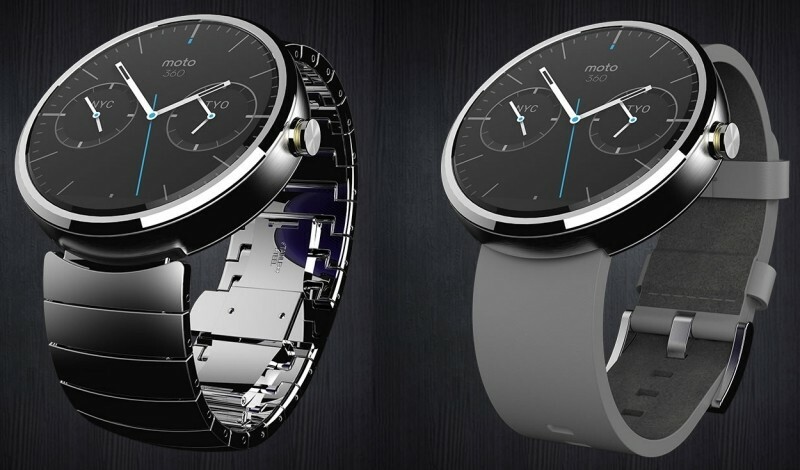 Motorola will also offer up a few new watch faces, one of which can be pre-installed on the device from the factory. There are generally two polar opposite camps when it comes to industrial design. On one side, you have companies like Apple that work on the design of a product in complete secrecy until it is just as they wish and ready to be unveiled. Such companies believe that consumers shouldn’t be part of the design process. As Steve Jobs once said, a lot of times, people don’t know what they want until you show it to them. That, and most people have poor taste when it comes to design (remember custom MySpace pages?). On the opposite side of the argument are those like Motorola that embrace what could be called open design. Whether its public betas or a fully-customizable final product, consumers should come along for the ride. Motorola, for example, feels that people are going to be more emotionally connected to their device if they’re part of the design process. As a result of that philosophy, you get a program like Moto Maker. Naturally, there’s no “right” or “wrong” method as each have pros and cons of their own but it's interesting to consider the various approaches that companies take in tackling such concepts. Given that Motorola hasn’t officially announced the expansion of its Moto Maker, details like pricing options remain a mystery at this time.